Clearly one of the largest blocks of active Catholics in parish life is that composed of seniors. These would be all people born before 1946, the year that designates the start of the Baby Boomer generations. This group would include those born in the early part of the twentieth century, including those who belong to the “greatest generation”-old enough to have fought in, or lived through, World War II. This is a group whose participation parishes assume. They are the group, educated well before the Second Vatican Council, where church attendance was very high. (Reception of Holy Communion, though, was never as high as those attending Mass.) This generation mostly grew up in Catholic enclaves, in small towns or in urban districts, attending Catholics schools at a time when Catholic identity meant as much a social identity as a religious one. In Catholic schools, people in this cohort accepted the discipline of thousands of religious sisters and educated in religion through the little blue book called the Baltimore Catechism. Likewise, this generation received the ministrations of a swelling number of priests; rectories from that time have rooms for four or five priests. Highways had not yet been built which would cause this Catholic density to spread out and dilute, in the newly built suburbs. Nevertheless this group, aged seventy and higher, presents distinct pastoral issues for a parish that wants to be an inviting community. This group faces important religious questions, all the way from health, through deaths of loved ones, through the birth of grand- and great-grandchildren, to the increasing likelihood of death sometime within a decade or so. In addition, people in this group, which had the strongest social identity with the Church, are the ones to feel most alienated if they are not active in the Church. Here are some points to think about when trying to invite seniors. Seniors often have a surfeit of time. Therefore, they are most readily available for ministry, particularly with and for each other. Try to utilize the time and generosity of this group to plan for various outreaches to seniors-outreaches of a variety of types. Seniors have time during the day for Scripture study and small group sharing. They are also very social. 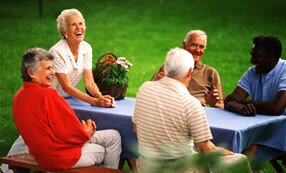 Encourage seniors to set up Scripture sharing or small group and to particularly invite their friends and neighbors. This might be an excellent time for ecumenical sharing, or, even more, a time for seniors who have been away from the Church to find a way to more active Catholic life through their friends. Emphasize ministry to seniors who are physically or otherwise limited. A large number of seniors end up in assisted living or outright nursing homes. These people can often be isolated from the families, who might live in another part of the country or who might have had a difficult relationship with the senior. Parishes should have organized ways to visit seniors who are homebound or in communal living situations on a regular basis. Seniors can be trained to be Extraordinary Eucharistic Ministers. They also can bring religious items such as prayer books or small pamphlets from the parish to the seniors. Have the seniors use their own imaginations in designing this ministry. Seniors appreciate social contact and parishes can facilitate this. Either tied in to an existing group (such as a Sodality or Women’s Club) or under some new umbrella, seniors can regularly plan social events for themselves. These can happen on site at the parish or through various excursions. Pastoral leaders can help seniors make this outreach even more effective by urging them to look for older folk who have just moved in, or who are otherwise unconnected, for them to have more contact with active, believing Catholics. Seniors may well have questions about faith and their spiritual lives. They can set up a “Question and Answer” forum in which they submit questions to parish leadership or to each other for discussion and sharing. Needless to say, these can easily be made into social events. In line with this, seniors might welcome a program for Catholics who want to reconnect with their faith, such as “Áwakening Faith” or “Landings.” These might be conducted a few times a year, in connection with “Question and Answer” forums. Obviously, seniors need pastoral care, from the growing illnesses they face to their final days. These can be opportunities for seniors to find reconciliation with God and deep peace of mind. Pastoral leaders have to design ways to celebrate the healing ministry of the Church, and be attentive to those moments of “Viatecum” when seniors know their lives are coming to their completion. Many parishes now have seniors as the major proportion of their regular attendees. Statistics show that this older group attends Mass at two, or even three, times the ratio of other cohorts. Nevertheless, it is obvious that this is a diminishing richness for the parish; the numbers, and intensity, that this age group is contributing to the Church is limited by time, illness, and energy. Yet there is still a great harvest for the Kingdom to be reaped by consistent commitment to seniors in our parishes. As much as “the great generation” has given to both Church and country, their lives will be even richer with more opportunities to give and to share in their twilight years.